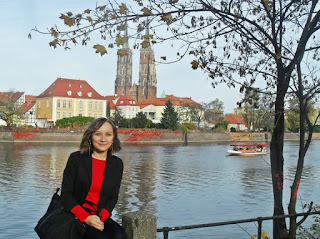 Doing my Erasmus in Poland was the greatest accident that happened in my life. I moved to Italy and I was in my first year of university when I decided to apply for Erasmus not because I wanted to leave, but because everyone was enthusiastic about it and I thought about it as a way to prove to myself I am a good student and the decision to move to Italy was not in vain. I was assigned to Poland (my second choice) and from the first moment I knew I would refuse it. I put Poland as my second choice just because the university did not require a certificate with a high level of English. But people around me said this is such a great project that to refuse going would be the worst decision. I didn’t know anything about Poland. I never thought about visiting it and never met a Polish person in my life. If I would have never been in Erasmus my life would be completely different and, I’m pretty sure, it would be very boring. 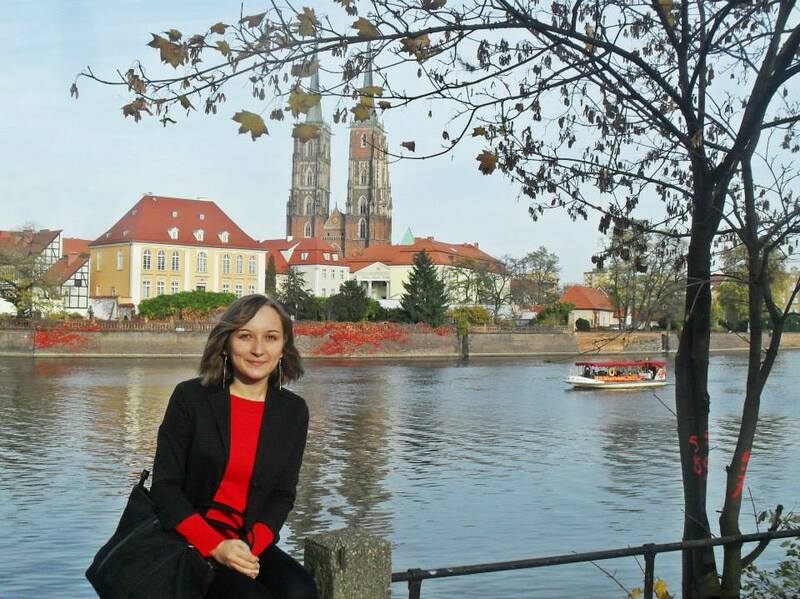 How did Erasmums in Poland change me? 1) I started to be more sociable. I did not wait anymore for someone to start a conversation. I could tell a stranger that he or she has beautiful eyes, I learnt to say “no”, when I did not like something and I learnt to express the things I did not like or approve, so I did not let them gather in my mind as usual. And that was very important, as I’m a super sensitive person. 2) I became more courageous. I participated in a Slam Poetry Night with a poem read in English, even though all people were Polish. I learnt to take risks and don’t care about what people will say. One of my best friends since then taught me fire poi. So, I even played with fire back home! With the same crazy friend we danced one evening in the city centre of Wroclaw. There were two guys playing some music and we were on our way back home, when she convinced me to stop and dance. Some people stopped to look at us, and later on they also started to dance. I even danced with an old man! That was definitely not the Diana from one year before. 3) I decided what I wanted to study further and changed my field of studies. Each person you’ll meet has an idea or experience to share with you. Projects, schools, programmes. I discovered Erasmus Mundus and many other things, until finally realising I want to study International Relations. 4) I overcame language barriers. I never had the opportunity to practice my English before, so it was the perfect occasion. I improved my English, learnt Polish and fell further in love with languages and discovering interesting aspects of them or amazing vocabulary. So, I started to write for a journal in my country about similarities, cute, unique, beautiful words and how language is influenced by our cultures. 5) And I fell madly in love with traveling. Now I am a real wanderluster. I enjoy getting lost in new places, and discovering those things that you can’t find in a guide. If I would not be in a relationship and have a family I think I would have left long ago to explore the world with no plans in mind, just go and work somewhere for 2-3 months, then move further, and so on. 6) I started to feel my home was not my home anymore and I belonged to every place I lived. During my first year in Italy I did not feel this so much, but now I’m like a person with no real identity. I’m like a gipsy or a forever guest to someone’s place, even if it’s my family’s flat. 7) I started to be more connected to nature. I don’t know how I survived earlier without being emerged in the magic of nature. It was the same friend I already wrote about that tied us. I started to enjoy chilling in the parks, having long walks just to breathe some air, see some trees, and lay down on the grass. This is also due to my first hiking experience in Zakopane, where mountains became for me synonym for tranquillity and pure happiness of the soul. If you think Erasmus is a good idea or not, I can tell you: it’s the best! Maybe it won’t have the same impact on you as it had on me but I’m sure everyone’s experience is unique and there will be other things that may change you, other things that you’ll learn… but the conclusion will be the same – Erasmus is a perfect idea!